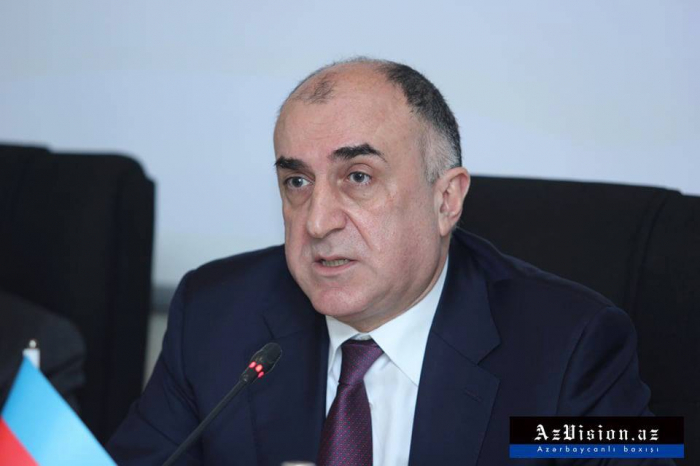 Azerbaijan and the European Union are very close to concluding the negotiations on a new strategic partnership agreement, said Azerbaijani Foreign Minister Elmar Mammadyarov. The minister made the remarks at the 16th meeting of the EU-Azerbaijan Cooperation Council in Brussels today, the Foreign Ministry told AzVision.az. “We have convened this meeting because we find ourselves at very timely interesting crossroads in our bilateral and regional agenda. There is this intensity in our relations, which I find very positive and policy-creative. It is very different from our relations with everyone else. And so it should be for the EU very differentiated, positively distinct from its relations with everyone else in the region. We have to safeguard our political agenda. We need to maximize our opportunities. That’s why I am here,” he said. “First and foremost, we need to discuss how and where we are heading with our new (draft) bilateral agreement,” said Mammadyarov, noting that he believes the sides are very close to concluding the negotiations on a new agreement. “We have most recently been able to synchronise the negotiations on all 3 parts of it. So today we stand a fairly good chance with over 90% of it already agreed. We have held numerous rounds and video-conferences recently and are keen to continue to do so in the coming days as well. I am positive about our joint ability to conclude the negotiations soon. But of course, the content of it for Azerbaijan is essential. I will speak about that a bit later,” he added. The minister said the issues, which are strategic in their nature for the Azerbaijan-EU dialogue, will also be covered. “Those would have to do with energy and transport. As you are aware, Azerbaijan has initiated some connectivity projects in and beyond the region. All of them are about creating a web of trade channels and bringing more of a stability, politico-economic resilience, and prosperity to the region. In fact, we have disembarked on a separate Transport Dialogue with the EU. We are also negotiating a common aviation agreement. On energy, together with our partners from governments and industry, we are finalizing the construction of the Southern Gas Corridor, which will make it possible to bring more of natural gas to the EU market, to its industry and the people from completely a new source – from Azerbaijan. Azerbaijan made this possible. Our partners in the EU could do more if they wish more of it to happen, so as to make the EU market – together with its regulatory environment – more attractive to more gas from Azerbaijan,” he said. “We don’t have only opportunities, but challenges as well. Therefore, we also launched a Security Dialogue recently. In so doing, we want to see how we can underpin politically our partnership through a shared vision on some if not all issues related to security, fight against terrorism and extremism. This, coupled with illegal migration, might be of a serious concern for all of us. Here, I would like to underline that a failure to eliminate consequences of the ongoing violation of the principles of international law, as well as misinterpretation and selective application of these principles in the context of the conflict resolution undermines rules-based European order. I believe that, if the EU is developing its neighbourhood policy and invests so much in it politically as well as financially when it comes to other countries in the region, there certainly must be a rules-based approach,” Mammadyarov added. The foreign minister also spoke about the recently-signed EU-Azerbaijan Partnership Priorities. “It speaks about priorities. It is about focus. It now needs a discipline and implementation. There, I can say that Azerbaijan has a forward-looking approach. We shared with the EU our preliminary vision about how we see its implementation. We will share our text with you very soon, and we hope that we start a practical implementation before this summer. Priority-driven cooperation tailored to the economic potential and specific goals of each country would be more efficient in realization of the principles of differentiation, flexibility, focus and greater ownership. Such approach will positively impact our long-term relationship and would be coherent with a spirit of true differentiation,” Mammadyarov concluded.